The company is an eminent Manufacturer, Supplier and Exporter of Solvent Green 7 from Maharashtra. 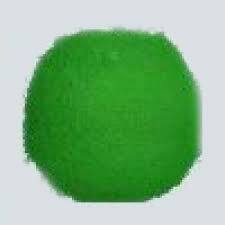 The Solvent Green 7 we make available are the best choice when it comes to coloring materials nylon, polyester, acetates, PVC, acrylics, PMMA, polystyrene, etc. We are capable of delivering bulk orders of the Dyes within the stipulated time.